HTC recently posted more information about which devices will and won't receive Android 4.1 Jelly Bean updates. 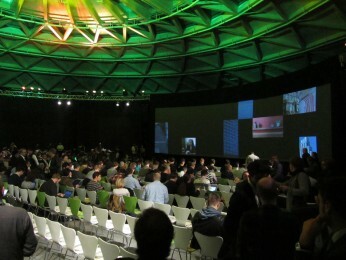 Devices released in 2012 have the priority for 4.1 updates, but HTC will evaluate some 2011 devices as well. This year's One X and One S are definitely on the update list, as are other unnamed 2012 devices. Some didn't make the cut, however, including the One V and Desire C, which are not on the update list. According to HTC, their 512MB of RAM is the limiting factor. HTC was sure mention that just because some devices won't be updated to Android 4.1 doesn't mean they won't be provided with maintenance and other updates or fixes. HTC said the timing of the updates depends on many factors, such as carrier testing, and it will provide more information when it becomes available. HTC today announced that both the One X and One S smartphones, sold in the U.S. by AT&T and T-Mobile USA, respectively, will be updated to Android 4.1 Jelly Bean and Sense 4+ starting later this month. AT&T and T-Mobile have yet to specify exactly when. HTC confirmed that it is preparing Android 4.1 Jelly Bean for several of its devices. "We know HTC fans are excited to get their hands on Google's latest version of Android," said spokesperson Jeff Gordon in a statement to The Verge. "At this point in time, we can confirm that we have plans to upgrade our HTC One X, HTC One XL and HTC One S to Jelly Bean. Please stay tuned for more updates regarding device upgrades, timing and other details about HTC and Jelly Bean." HTC didn't specify if the U.S. variants of these devices will be updated or not. The One X is sold by AT&T and the One S is sold by T-Mobile. Noticeably absent from the list is HTC's most affordable One series device, the One V. Few other handset makers have come forward with their plans for Android 4.1 updates. Cincinnati Bell today announced pending availability of the HTC One S Android smartphone. 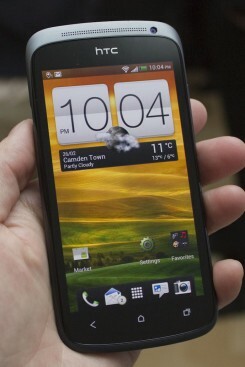 The HTC One S will be available beginning June 25. It will cost $199.99 after a $100 mail-in rebate with a two-year service agreement. Key features include on OLED display, 8-megapixel camera, dual-core S4 processor, Android 4.0, and a front camera for video chat. 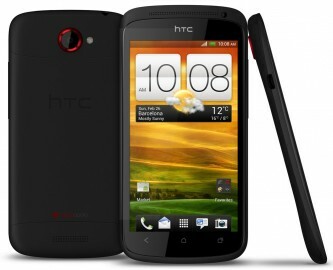 T-Mobile USA today announced that the HTC One S will go on sale through its various sales channels starting April 25. The One S, which was announced earlier this year by HTC, supports T-Mobile's 42Mbps HSPA+ network and has a different treatment for the metallic surfaces, but is otherwise the same as the international version of the device. It has a 4.3-inch qHD display, Qualcomm Snapdragon S4 1.5GHz dual-core processor and 1GB of RAM, 8-megapixel camera, Beats Audio, HTC MediaLink, DropBox integration, and Android 4.0 with Sense 4.0. The device will cost $199.99 after rebate with a new two-year agreement. The full retail price of the One S is $599.99. HTC said that it is examining reports of One S units suffering from chips to the micro-arc oxidized finish. The company said in a statement, "The finish on the One S was laboratory tested as being at a hardness similar to ceramic. While that's hard, it doesn't mean it's impossible to damage. Regardless, HTC takes quality very seriously and are providing all customers with an immediate fix and we are implementing some small changes to ensure customers do not experience this issue in the future." The company is offering owners of affected units replacement devices if they return them within the first 30 days of ownership. The One S has yet to launch in the U.S., but it is going to be sold by T-Mobile USA in the coming weeks. It's unclear of the T-Mobile variant will suffer from the same issue. HTC today announced the One S, an Android 4.0 / Sense 4.0 smartphone that will launch with T-Mobile USA later this spring. The One S supports T-Mobile's HSPA+ network at 42Mbps and includes Beats Audio integration. Stand-out features of the One S include a 4.3-inch Super AMOLED display with qHD (540 x 960 pixel) resolution and a next-generation, dual-core 1.5GHz SnapDragon S4 processor. The HTC One S's main camera rates 8-megapixels. It has an F/2.0 lens for better low-light performance, a five-element LED flash, autofocus, and can shoot pictures as quickly as one every 0.7 seconds. The One S captures video at 1080p HD, and users can capture still images while recording video without disturbing the video capture process. The One S has a metallic shell that has been coated with a soft-touch plasma for a better in-hand feel. Pricing was not disclosed. We're live from HTC's event, where they are expected to announce new phones. Rumors whisper of a new series of phones called "One". Tune in to see what they unveil.